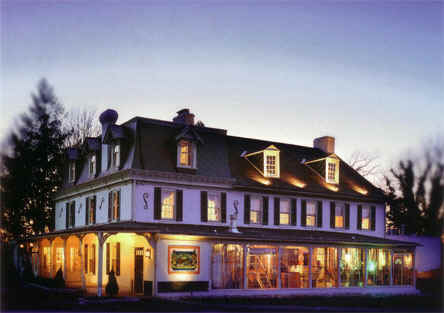 Got $1.25 Million for the General Lafayette Inn? Yes, your favorite defunct colonial brewpub, the General Lafayette Inn, is still on the market, but at least now there’s a real estate listing to encourage potential buyers. It took a bit of digging to find it, though an ad in the print version of Mid-Atlantic Brewing News pointed the way to the firm attempting to offload the historic-but-lacking-public-transit restaurant. The listing includes the liquor license, and mentions annual income from a cell tower (or ‘Cell Tower’ as it is given on the site; there is unnecessary capitalization for ‘Micro Brewery’ as well; perhaps it’s quaintly Germanic) – one wonders if that is a more recent addition to the property, since the signal was not what might be fairly termed reliable in the past. Indeed, had Untappd been available at the last Winterfest, it is difficult to imagine maintaining a consistent ability to check in the many and varied beers formerly available at the annual winter beer event. There is no mention of the alleged ghosts, though the bed & breakfast outbuildings are pictured. It has been over a year since the last General Lafayette Inn update, and we are edging ever closer to two years since the unfortunate demise of its last incarnation; for a property with such an interesting history and potential, it seems to have become something of an afterthought. Update: March 7, 2013 – news at last!